I am grateful that God is in the details. Of course I’m tremendously grateful for the enormous stuff like salvation, creation of the world, and that He holds all things together. But today, I’m quite endeared to Him because of the details. 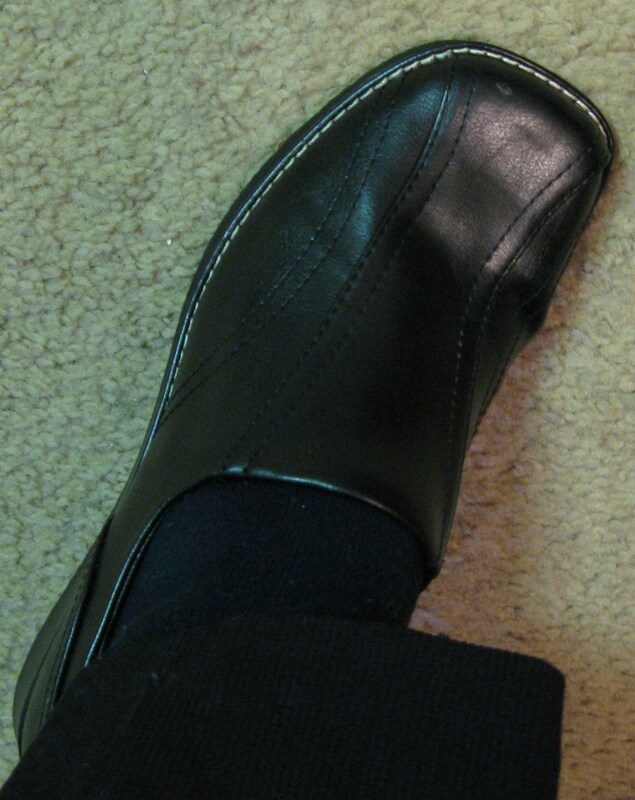 My favorite pair of shoes is black and shiny and goes with every outfit, fancy or casual. This past week a hole wormed its way into the left shoe by my pinkie toe. Black electrical tape nor crazy glue mended the hole. I’ve been sad because I have a hard time finding comfortable shoes. And to find them at a reasonable price is doubly hard. Today I shopping for shoes. I found a replacement pair at the first store I went to! Amazing, yes? Even more amazing is that I found the EXACT pair that have the hole. And lastly, the price was a steal!!! Yes, today I am very grateful that God is in the details. Click on (more …) for All Photos from 2009 November’s Photo-a Day. Entry filed under: Gratitude List, Main, Photo-a-day. Tags: gratitude, Photo-a-day. Christmas Posts – Table of Contents	How Do You Spend Your Time?